Noah Glaser over at The Hidden Triforce has recently written an article discussing the possibility of a Legend of Zelda RPG. Noah makes the point that this was exactly what they did with the Mario Franchise and it launched an entire Mario sub-series of games. Perhaps the Final Fantasy series is a way to look at the possibilities for what a Zelda RPG game could play like. Here’s a tidbit from Noah’s article. Before anyone complains that “this won’t work.” My response to you is, “it already has worked.” Nintendo turned side scrolling left to right Mario into a popular RPG series that continues to be best selling hits. They took all of the elements of the Mario series that fans loved and then turned it into a fun RPG adventure with turn based action. And for those who crave actually button mashing while attacking, Nintendo has also shown with Paper Mario that they are capable of incorporating ideas into attacks to allow for higher damage, such as hitting A or other command prompts at the right time. There is nothing preventing Nintendo from applying the same successful standards to the Zelda series. While many might think that the Legend of Zelda series needs a bit more of a spin to keep things fresh, I hardly think that this is the route to go. The idea of using RPG elements is a very good idea, but turning Zelda into a full blow turn-based attack type game isn’t what I am looking for. The RPG elements found in the Adventure of Link, such as gaining experience points and then upgrading your sword, life, and magic is something that would make for a welcome addition in the next Zelda title. While I don’t think this should replace the idea of upgradeable weapons and attacks, I think they could use an experience points system in addition to the current Zelda formula. What do you guys think? Would a turn based Zelda game be something you would like to play? 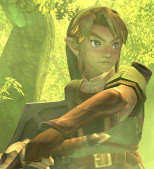 Would you like to see RPG elements from the Adventure of Link make a return in new Zelda Games? Let us know in the comments below.